The present first line are apartments at the sea. You leave apartments, you do two steps and here it - gold sand and Black sea. Apartments on the first line are on sale very quickly. The prices for such apartments grow even faster. Sooner or later all coast will be built up and to buy apartment on the first line it will be possible only in the secondary market, therefore real estate purchase in Bulgaria on the first line is a sure version and from the investment point of view. Real estate for sale on 1 line (Sunny Beach, Bulgaria): complexes of apartments Privilege Fort Beach, Panorama Fort Beach, Marina View Fort Beach, Riviera Fort Beach. Apartments on the second line stand a little bit more cheaply, than on the first. It is clear. To the sea, the price is less than more steps. Apartments on the second line approach those who is not afraid to make superfluous steps. They are not worse at all than that on the first. Differ only in distance to the sea. Imperial Fort Club and Crown Fort Club are all in 150 metres from the sea. 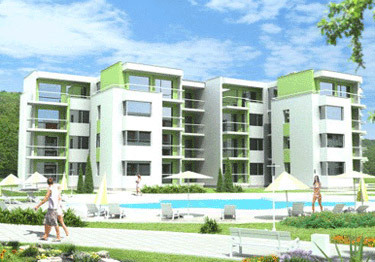 These complexes of apartments also are on a magnificent Bulgarian resort Sunny Beach. Complexes of apartments Nessebar Fort Club/Nessebar Fort Golf Club well be finished to summer of 2008, Holiday Fort Golf Club - to summer of 2009. Getting apartments in the course of building, you essentially save. But it is necessary to hasten, in Holiday Fort Golf Club remains only 46 not sold apartments, and in Nessebar Fort Club/Nessebar Fort Golf Club - only 41 apartments. The Ceiling price for апартамент (from remained for today) - 66 177 euros (it апартамент with two bedrooms and a drawing room in Nessebar Fort Club). We sell the best real estate in Bulgaria on a resort Sunny Beash. All complexes of apartments are constructed by Fort Noks. Fort Noks - biggest developer in the Sunny Beach (Bulgaria). 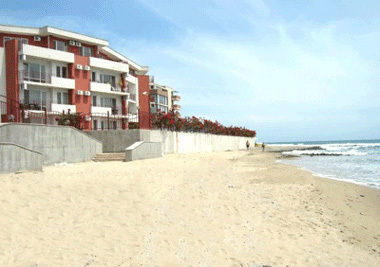 © Real estate Bulgaria, bulgarian property, apartments for sale in Bulgaria, Sunny Beach, 2006-2009.